planted or natural forests in the Southern Hemisphere and the tropics. Papers are also encouraged on related disciplines such as environmental aspects of forestry, social forestry, agroforestry, forest engineering and management as well as the goods and services that are derived from forests as a whole. Articles published by the journal are of value to forest scientists, resource managers and society at large. The journal particularly encourages contributions from South America, Africa and tropical/subtropical Australasia and Asia. The mission of the Southern African Institute of Forestry is to assist the profession to achieve and maintain excellence in the practice of forest, wood and conservation science and Southern Forests is a tangible expression of this mission. Thoughts expressed by the writer of any editorial published in this journal do not necessarily reflect the views of the Institute. All manuscripts presented in accordance with instructions to authors (printed in the back of each issue) should be submitted to the Editor at the Editorial Office. 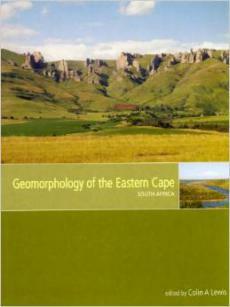 Instructions are also accessible under ‘Forestry Journal' on http://www.saif.org.za/. Membership to the SAIF is open to all interested persons. Membership rates and information on the SAIF can be obtained from the Administrator, Ms Corine Viljoen — Tel: +27 (0)12 348 1745, e-mail: saif@mweb.co.za. 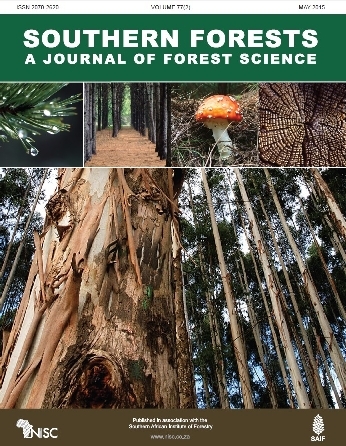 Southern Forests: a Journal of Forest Science accepts Research Papers and Review Papers as well as shorter Research Notes. Please study the format and style of a recent issue. Contributions should be presented in plain English that is suitable for peer review without the need for copy editing. Contributions with a main body text of 3 000 to 4 000 words will be given preference. Editorial policy: Contributions must conform to the principles outlined in Ethical Considerations in Research Publication available for download below. Manuscript format: Manuscripts must be prepared using Microsoft Word (font Arial or Times New Roman, 12 pt), double spaced, preferably with lines numbered. Tables, figures and images should be on separate pages. The manuscript should be submitted electronically to the Editor-in-Chief. Headings: Hierarchical sequence to be used: sentence-case bold, sentencecase italics and bold, then sentence-case italics non-bold. Subdivisions must be designated (1), (2), etc. and further subdivisions (i), (ii), etc. Abbreviations: Use abbreviations and acronyms for long technical names that occur frequently in the text and where common usage occurs (e.g. DNA). When first used, state the name in full followed by abbreviation or acronym in parentheses. Units of measure: SI units must be used. For wood volume yield use the form m 3 ha -1 y -1, wood density use g m -3 , stand density use trees ha -1 or stems ha -1 . Slope should be recorded in degrees, not per cent. Parts per million should be expressed as mg kg -1 , ug l -1 . Use units that are appropriate to the nature of the work being reported, e.g. ha rather than the SI base unit m -2 . Use cm for DBH values, log and pole diameters. List of ‘Standard Symbols’ is available on the SAIF website (see Forestry Journal). Numbers: Use figures where a unit of measurement is given, e.g. 2 m, but use the word for numbers under 10 or at beginning of a sentence. Numbers larger than 999 should be divided into groups of three figures, e.g. 2 570; 42 500 000. Separate items in a string of figures with semi-colons. Use decimal fractions. Where common fractions are unavoidable, type thus: ¾. Use full-stop for a decimal point, e.g. 1 245.105. Tables and figures: Tables and figures should be on separate pages, and numbered in Arabic numerals; figures grouped together must be numbered using lower-case chronological letters. These items should be readily understood, without reference to the text. Two-dimensional graphics and histograms are preferred and shading patterns should be kept simple. Authors must ensure that their figures conform to the style of the journal. Pay particular attention to line thickness, font and figure proportions, taking into account the journals printed page size. Costs of redrawing figures may be charged. Please refer to Figure Guidelines for Authors: format, technical considerations and style available for download below. For digital photographs or scanned images the resolution should be at least 300 dpi for colour or greyscale artwork and a minimum of 600 dpi for black line drawings. These can be saved (in order of preference) as PSD, TIFF, EPS, PDF or JPEG files. Graphs, charts or maps should be exported as AI, WMF, EMF, EPS, PDF or SVG files. MS Powerpoint and Excel files are acceptable. If submitting figures in a MS Word document use ‘Insert Picture from File’ (do not copy and paste, or embed the artwork). More detailed technical information is given in Figure Guidelines for Authors. Illustrations can be reproduced in colour, but only when essential, and subject to approval by the Editor-in-Chief. Non-essential use of colour will be charged at ZAR900 (excl. VAT) per page for African contributors and USD150 per page for contributors from elsewhere. Brack C. 1996. Tree shape. 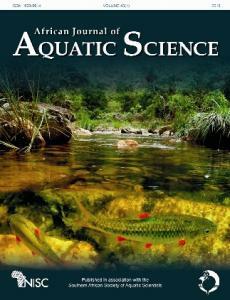 Available at: http://sres-associated.anu.edu.au/mensuration/shape.htm [accessed on 9 October 2006]. Peace TR. 1962. Pathology of trees and shrubs with special reference to Britain. Oxford: Oxford University Press. Rolando CA, Hitchins M, Olivier S. 2006. Methods to improve late season planting of Pinus patula. ICFR Bulletin Series No. 08/2006. Pietermaritzburg: Institute for Commercial Forestry Research. Rypstra T, Vermaas HF, Sanderson R. 1979. Dimensional stabilisation of wood: factors influencing it and the principles of treatment. South African Forestry Journal 108: 22–28. Uggla C, Sundberg B. 2002. Sampling of cambial region tissues for high resolution analysis. In: Chaffey NJ (ed. ), Wood formation in trees. London: Taylor and Francis. pp 215–228. References should only include works cited in the text. In the case of publications in any other language than the one you are using the original title is to be retained, except where translated versions are cited. A paper may only be cited ‘in press’ if it has been accepted by a journal and is included in the References. A paper not yet accepted should be cited in the text as ‘unpubl. data’ with author’s initials and omitted from the References. Personal communications should be used sparingly and cited in the text thus, giving the correspondent’s affiliation: (WJ Smith pers. comm., [institution], [year]). Manuscript structure: Manuscripts should be prepared using the following sections. Title: Be brief but descriptive. Indicate location of study, e.g. Mpumalanga, South Africa. Do not give authorities for scientific names, though family and/or order in parenthesis are often desirable. Common names are acceptable when widely known and unequivocal. Follow title with name(s) of author(s) and affiliation address(es). Follow with corresponding author e-mail address. Abstract: Must not exceed 300 words. Present clearly the objective of the study, methods used, results and conclusion. At least three keywords not included in the title must be provided. Introduction: Briefly provide the context for the study citing previous reported work. Show the link between the study and forest management as well as science. The introduction should end with clearly stated aims for the study. Materials and methods: Provide sufficient information and detail so that the reader can make an independent assessment of procedures and analyses carried out. It is important to describe experimental sites including location, climate, soils and nature of the forest studied. Information on sample size, sampling methods, experimental design, precision of measurements and sampling units must be provided. Where possible cite references for more detailed description of materials and methods used. Statistical analytic methods and assumptions must be clearly stated. Results: Do not present all observations but results must be given as necessary to support the conclusions. Presentation of results should be guided by statistical significance with these shown in tables and figures. It is preferred that results and discussion are presented as separate sections. Discussion: Relate your findings to the aims of the study and other relevant reported work. Indicate how the work suggests future research needs and implications for forest management. Avoid reiteration of results and do not present additional observations from the study not reported in the results section. Conclusions: Concisely state firm conclusions related to the aims of the study. Indicate possible future research aims and application to forest management. Acknowledgements: It is important to acknowledge those who have supported the research, such as your institution, employer or funding agency, and those who rendered specific assistance. Electronic reprints: Authors will be notified by e-mail when their article is available for download from the Taylor & Francis website. 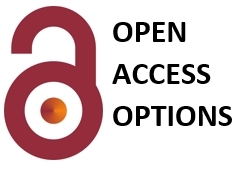 Open access: Southern Forests is a hybrid journal which allows authors the option of publishing their article Open Access for a set fee. Further details are given on the Open Access at NISC page. Enter your details below to subscribe to Southern Forests: a Journal of Forest Science. Have a question about Southern Forests: a Journal of Forest Science? Call us on +27(0)46 622 9698 or submit an enquiry using the form.